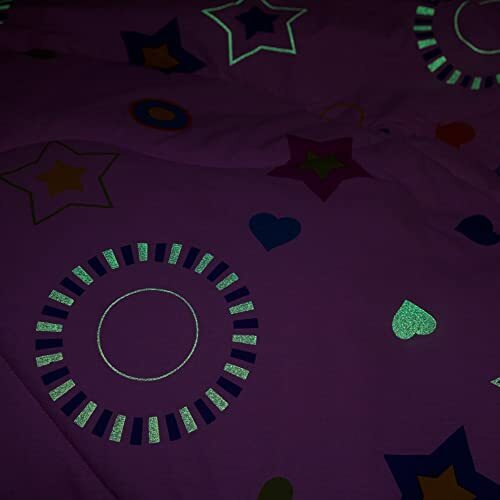 Glow in the Dark Bedding - Oh So Girly! Veratex also makes this more subdued, 2-color glow in the dark bedding set where the white star pattern glows in the dark. 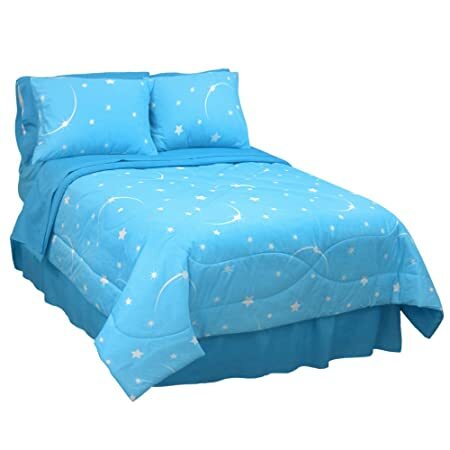 According to the Amazon reviews, it seems the stars glow softly enough to be comfortable to sleep with. Literally sleeping under the stars! I think it’s a really unusual and cute idea! Here are a few more star-themed bedroom products including wall stickers, night lights and fairy lights that give a girly, starry feel.